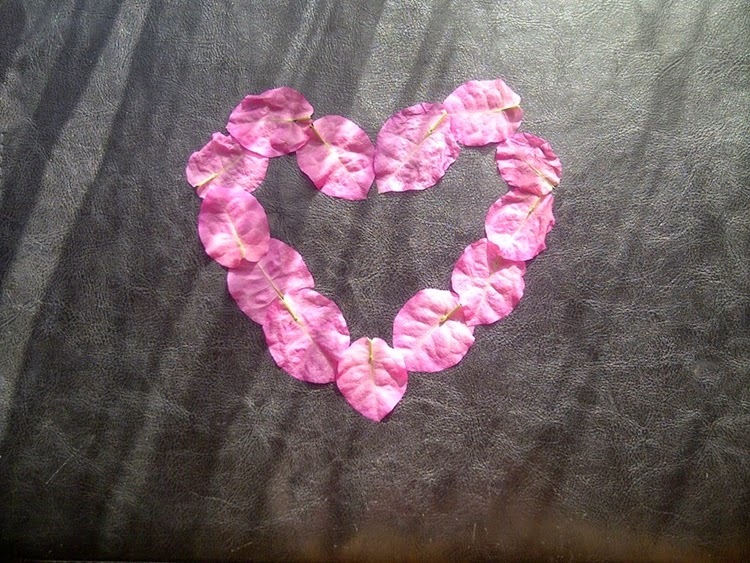 It was so beautiful how it was so broken but still had a pretty heart shape. It really touched me and made me think a lot. I could have just passed by and stepped on it, thinking this is just an ugly broken leaf. But something told me to stop and look in a different way and I took a picture. 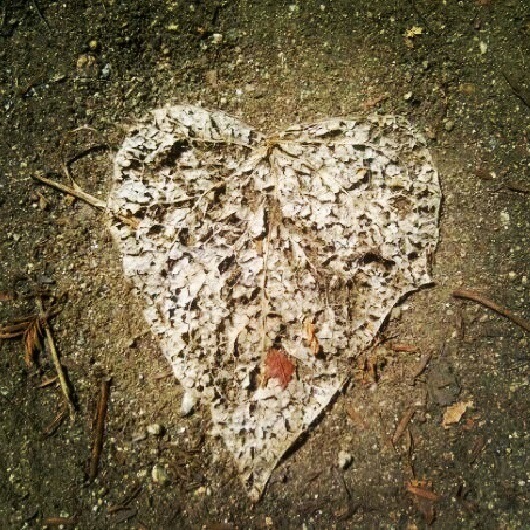 Then I saw a heart. which is the best privilege we can have and the biggest blessing we can give. We can always choose love and it's easy when you let your heart decide. For we are born to love and be loved, not to judge and be judged. 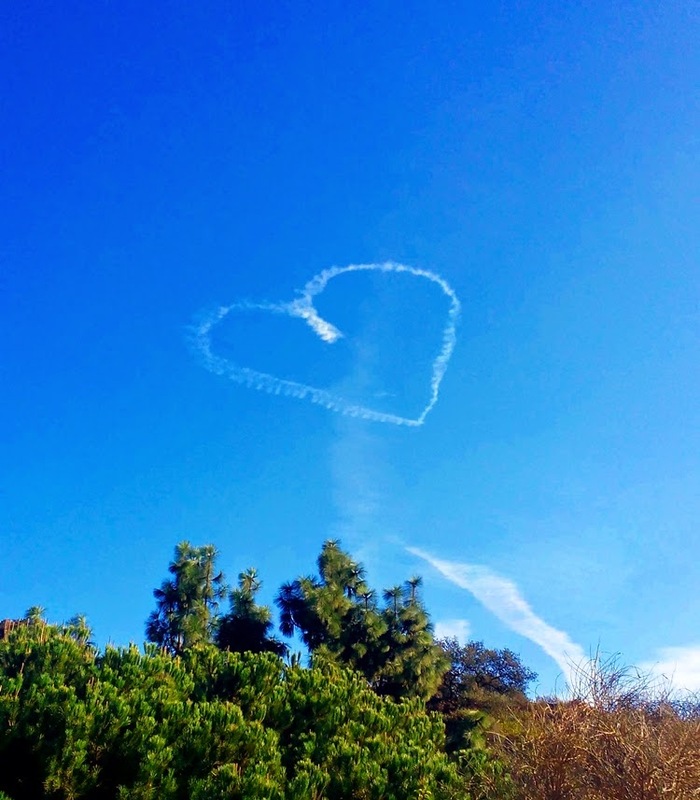 Found this in Hollywood, couple of weeks ago, someone was proposing, they wrote a name and wrote marry me and drew a heart. I thought that was so sweet and made me smile. I wonder if Tom Petty ever thought about the day, you can actually write a name in the sky, when he wrote the song Free Falling. And this was over Mulholland too. Love is everywhere when our heart is open and when we look with love. Share with your friend, family or whoever. It will brighten up your day and everyone else. Let love shine! Remember true love is always unconditional. Don't let ego get on your way! I'm sending out so much love from my heart to whoever is reading this. Thank you so much for giving me a chance to share my loving thoughts with you. It's an honor. Hope you and your loved ones to have a lovely loving day!